To view the Port of Algoma Redevelopment project benefits, please click here. 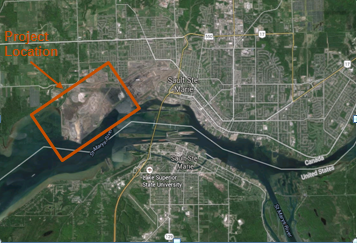 The Port of Algoma Redevelopment Project is west of Essar Steel Algoma Inc. & the International Bridge in Sault Ste. Marie. Modernization & redevelopment of the Port of Algoma into a nationally significant, commercial common user port has been a long-standing economic development priority for the City. The Port of Algoma is the fifth largest Canadian port on the Great Lakes by shipping volume. 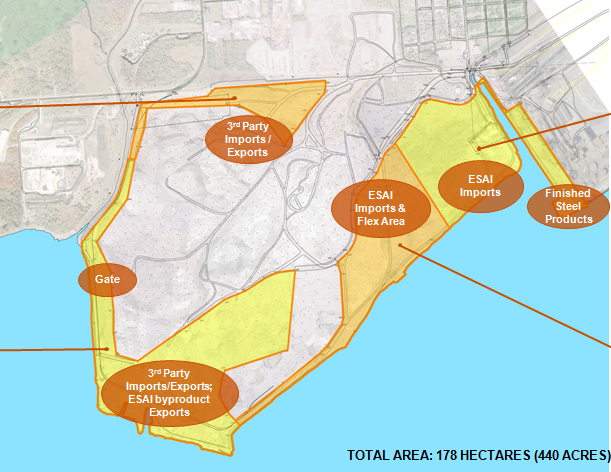 The existing port lands have ample space to expand and promote new industries to use the Port facilities, as well as maximize the operational efficiency of the Port’s current main tenant, Essar Steel Algoma Inc. Both maintenance and capital dredging to restore water depth at the docks and to improve navigation between the northern edge of the shipping channel (on the Canadian side) and the port. Conceptual layouts have been developed for each key area. The Redevelopment Project is not a deep water port project and dredging in and around the Port will be to ensure the same navigation depth as what the Sault locks currently provide for Great Lakes carriers. The Project will not require the construction of docks at new locations, but will require repair, replacement of existing docks or their extension parallel to the shoreline. Redeveloping the Port of Algoma into a state-of-the-art, world-class facility will transform Sault Ste. Marie into an international gateway. A commercially accessible port with modern infrastructure and available industrial land that could attract new businesses, create more jobs and lead to additional tax revenues for stronger services. A dock area of significance with multimodal connectivity that could continue to serve Essar Steel Algoma Inc. – one of Canada’s largest steel mills, the Sault’s biggest employer and active for over 100 years. Attract a variety of other commercial and industrial users to the Port such as Aggregates, Base Metals, and Forest Products. This information is providing the basis for identifying potential impacts as a result of port redevelopment and for developing conceptual mitigation to address them.